IS THE CPD MODEL APPLICABLE TO MY AREA OF PRACTICE? The simple answer is "YES". As the CPD model is based on a model of self-directed learning and reflective practice it is entirely focused on your area of practice. One of the benefits of the CPD model is that it has the flexibility to accommodate all practice settings and to allow for careers to change and evolve over time. This means learning which is focused entirely on you as a pharmacist and your specific area of practice. It includes: self-identification of learning needs e.g. 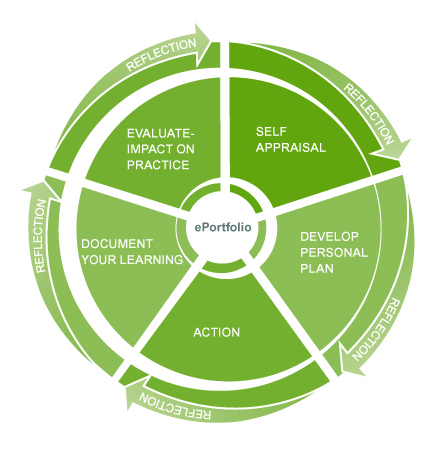 through self-appraisal (Stage 1, Self-appraisal) or reflective practice; planning and undertaking appropriate learning activities relevant to individual practice (i.e. Stages 2 and 3, Personal Plan, Action); documenting and evaluating learning outcomes with a view to identifying actions to enhance individual practice or additional learning that may be required (Stages 4 and 5). Self-directed learning recognises that individuals have different learning needs and different learning styles. Reflective practice means reflecting on experiences from your individual practice in order to learn from them. This includes such things as reflecting on successful patient interventions that resulted in improved outcomes for patients, adverse events or near misses, or reflecting on reports from audits and PSI inspections. It is more than simply a review of an experience; reflective practice results in a change in behaviour to enhance future practice and patient safety. Reflective practice can be used to translate your individual experience into a valid CPD activity. Reflective practice ensures that both you and your patients benefit from your experiences on an ongoing basis. The important thing is that your CPD is relevant to your area of practice and that it reflects the work you do as a pharmacist. So for example, a community pharmacist's CPD record is likely to contain entries about clinical issues, public health issues, prescription and over the counter medicines. A superintendent's record might reflect managing, coaching or training skills that are being developed. A hospital pharmacist's record might include entries about antibiotic stewardship; clinical audits; conferences attended. An industrial pharmacist’s CPD record should reflect the learning required for that sector of practice, with perhaps more focus on regulatory requirements or new technology. If you have more than one role, your CPD record should reflect pharmacy practice across all of the sectors in which you work. The Institute is committed to supporting and engaging with all areas of practice and practitioners at all stages of their career.